Lagos, September 28th 2018: The Securities and Exchange Commission, Nigeria (SEC Nigeria) has become the first capital market regulator to participate in a flagship pan-African programme designed to strengthen the continent’s capital markets. Over a three-year period, FSD Africa, a UK Aid funded non-profit company, will provide funding to build the capacity of capital market regulators across the continent, providing world-class technical assistance, encouraging closer collaboration among regulators and conducting research to support the development of new policies and regulations. Through the programme, FSD Africa will assist SEC Nigeria in several ways. First, it will fund an institutional capacity audit to identify strengths and areas of improvement in the SEC Nigeria’s operations as well as provide support to implement recommendations. It will also help in promoting fintech regulation. Lastly, it will play a role in encouraging greater collaboration and knowledge management sharing with other African capital market regulators. As Africa’s largest economy, Nigeria represents a natural starting point for this new programme. In addition to Nigeria, the programme will be implemented in Ghana, Kenya, Mozambique, Rwanda, Tanzania, Uganda, Zambia and Zimbabwe. The cooperation agreement between SEC Nigeria and FSD Africa was signed in Lagos today. 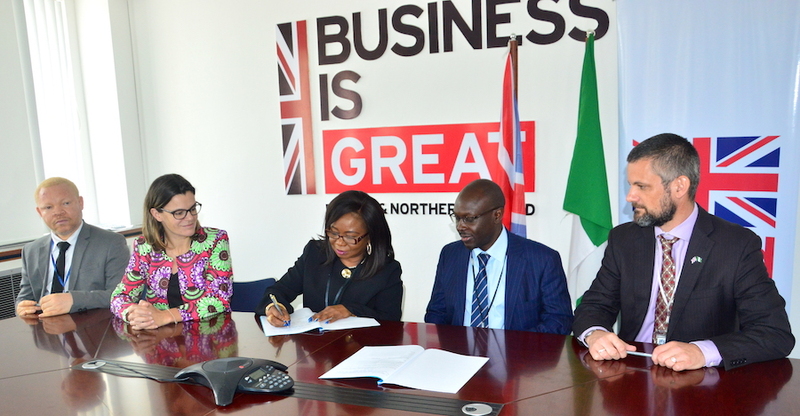 The signing was observed by the Deputy High Commissioner, British Deputy High Commission Lagos, Laure Beaufils. Other present were the heads of the two institutions; Mary Uduk, Acting Director General, Securities and Exchange Commission, Nigeria and Mark Napier, Director, FSD Africa.